I was recently introduced to a brand that ticked both these boxes, Bella Forever. They’ve created a cruelty free skincare range of face masks that are 100% natural. I’ve recently started using the Mint Cooler Deep Cleansing face mask. 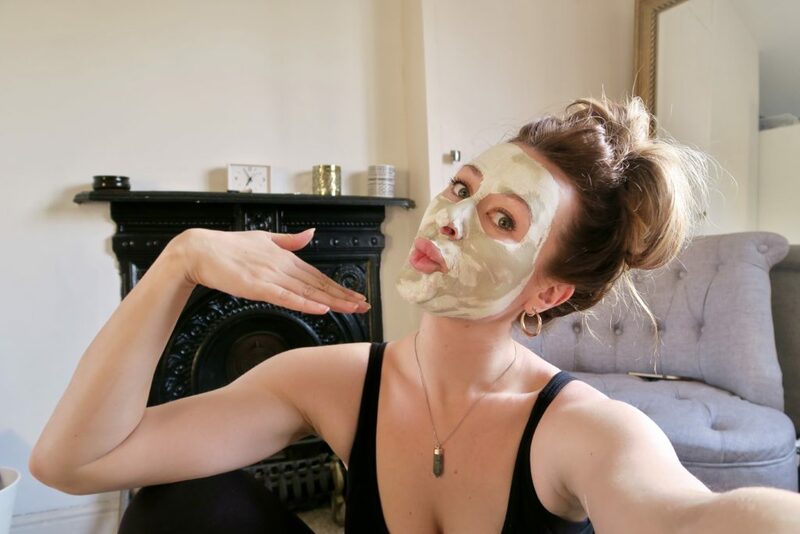 The mask aims to remove any impurities from the skin, it’s what clay does best, and absorb any excess oil. 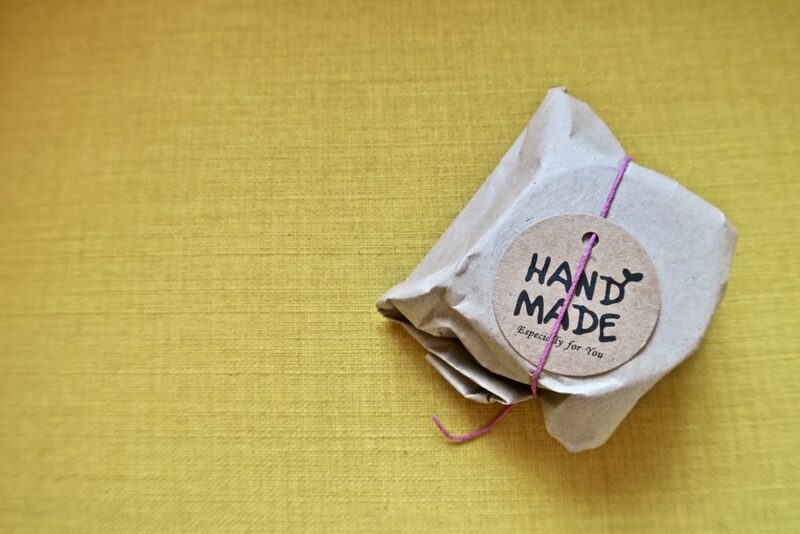 It contains sage essential oil which calms and refreshes. It also smells incredible! The mask also came with a cute little application kit containing a mixing bowl, stir stick, a super soft application brush and 3 measuring spoons. I’d recommend adding the kit as it made applying the mask so much easier. Any clay masks I’ve used in the past have been challenging to get the correct consistency and application, this kit definitely helped. The mask brushes on really smoothly and feels cool to the touch. It dried well but didn’t have that horrible, can’t move your face, tight feeling. I was able to talk and drink without the mask cracking off. I left it the recommended 15 minutes before washing off with a face cloth. It came away really easily and, again, my skin didn’t feel tight or in desperate need of moisturiser. I have a problem area, prone to blemishes on my cheek. It’s a recent addition to my life and I’m not sure what causes it, yet. So a day or so after using the mask the toxins from this area of my face started to surface. Clay draws out toxins don’t forget! Don’t let this put you off, what is deep down beneath the surface of your skin will eventually let itself be known. Best to deep cleanse often, with non-toxic products, to keep breakouts down to a minimum. I like this mask. I like this company. 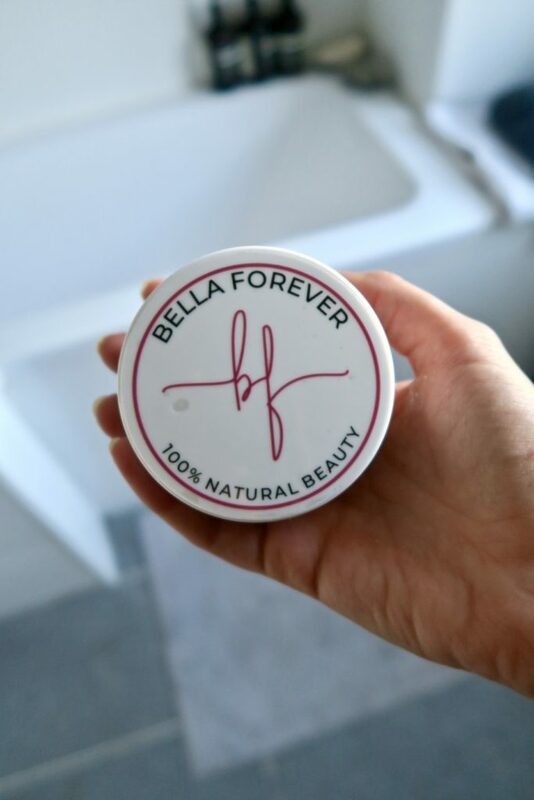 The skincare world is in need of good quality, non-toxic, natural and cruelty free ways of maintaining great skin and Bella Forever definitely delivered the goods. 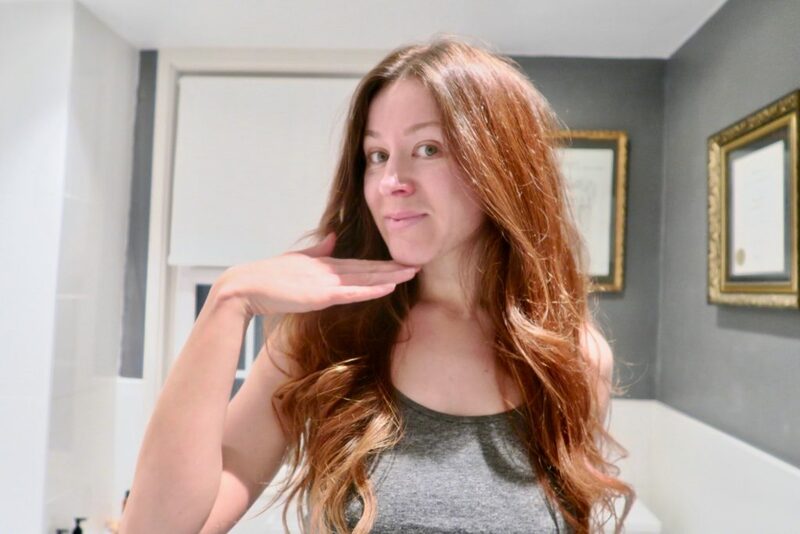 Products in the blog were gifted, all opinions are my own. 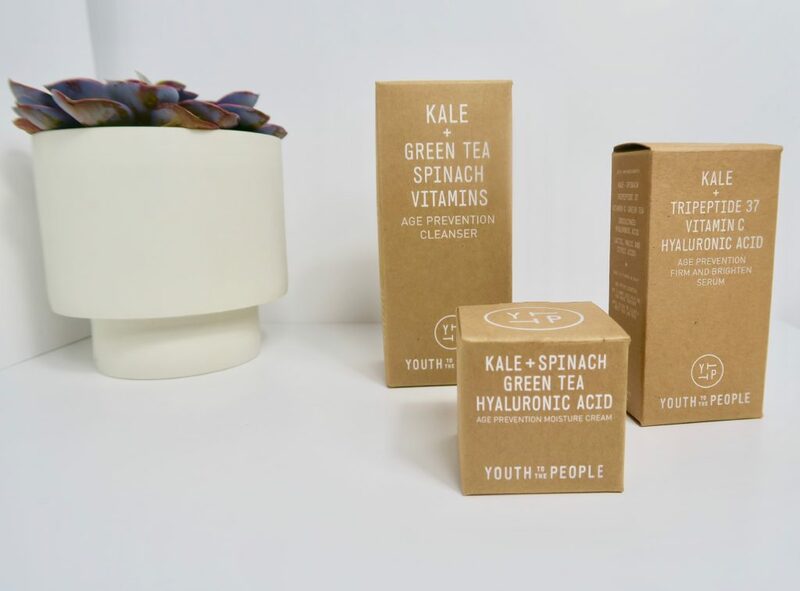 Youth To The People are one of the most exciting, cruelty free skincare lines out there today. If you haven’t heard of them yet you soon will. A Californian company that combines superfoods and science to create the freshest, most effective products possible. I’ve been using the Youth Duo and Hyaluronic Acid for around 6 weeks now. I feel this is enough time to see changes, if any, on the skin. My skin type is very much combination, dry patches on the cheeks and hairline, oilier t-zone and annoying hormonal spots around the jawline. I wear make-up, I workout, I double cleanse and I want my skincare products to be gentle yet hardworking. In Youth To The People I think I may have found ‘the one’. 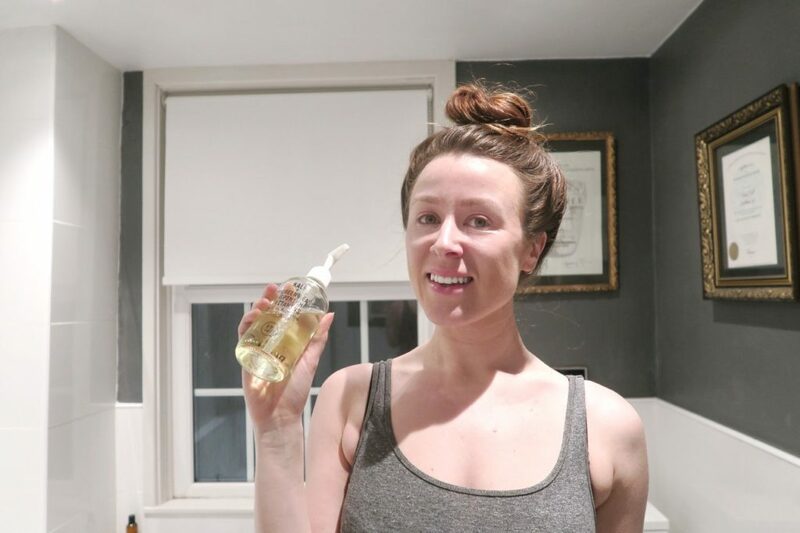 The cleanser comes in a glass bottle (hello plastic free lifestyle!) with pump, it sits beautifully in my bathroom cabinet and allows for easy use (with the pump). I’ve been using the Kale, Green Tea and Spinach cleanser. It smells fresh and claims to prevent ageing. The face wash is Ph balanced and therefore does not leave an overly tight feeling of the skin after use. My skin feels squeaky clean and comfortable. It smells beautifully fresh too (the cleanser, not my face) and it definitely brings a little Californian summer vibes into my skincare routine. I’ve been following the cleanser with the hyaluronic acid serum. It contains vitamin C but doesn’t have that tingly effect that vitamin C usually has. It’s a runny, watery consistency and aims to improve skins elasticity and fine lines. 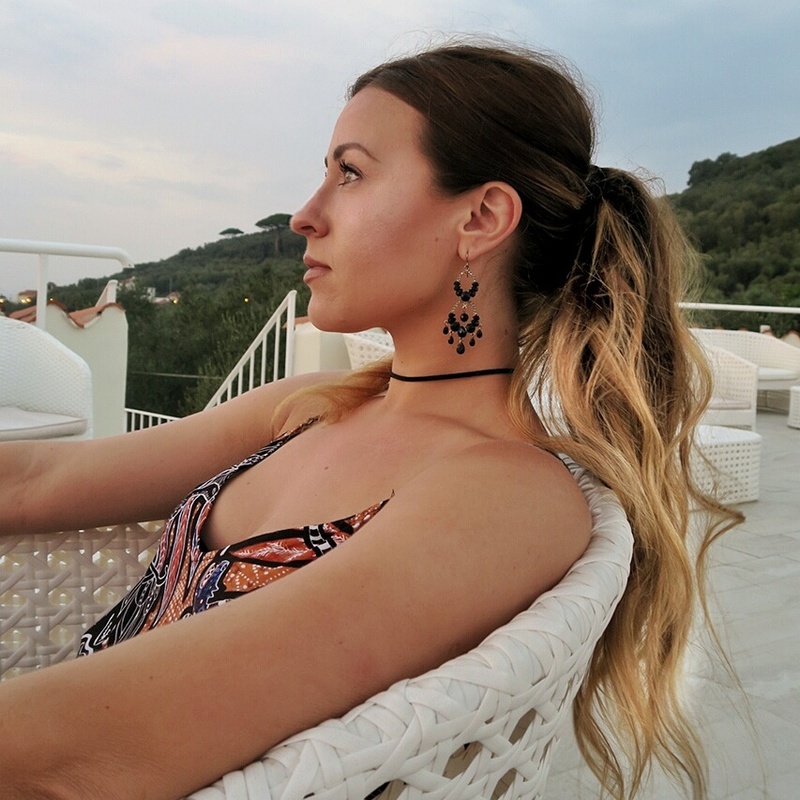 I don’t really have fine lines yet so can’t say I’ve really noticed a difference there, but maybe I’m helping to prevent them for longer. My face definitely looks plumper and healthier the morning after. Following this is the final step in my skincare routine, moisturiser! A must, must, must for dry skin gals like myself. 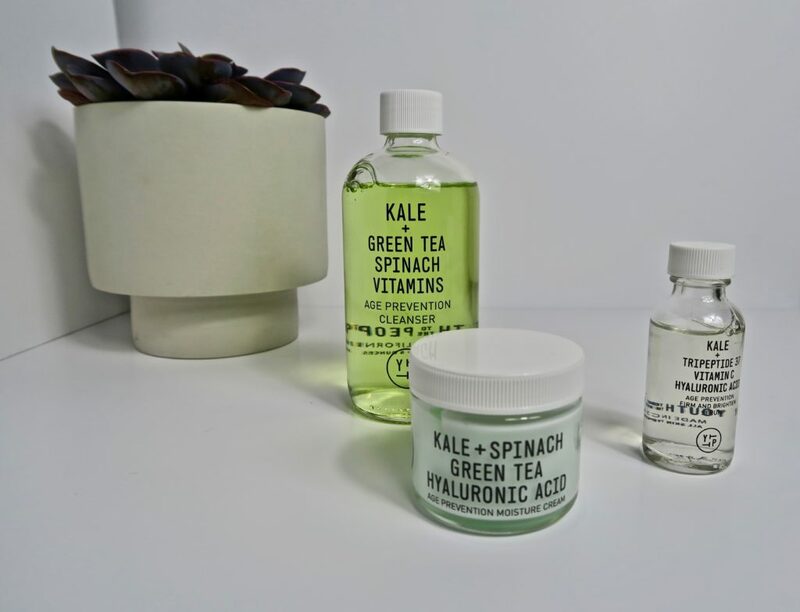 I’ve been using the rejuvenating Kale, Spinach and Green Tea age prevention moisturiser. Yet more freshness on my face! I imagine this to be to perfect skincare product for summer or if you live in a hottest country. I live in the North of England and we rarely see it above 9 degrees. But in the summer these products would be so refreshing and revitalising. Definitely perfect for holiday season. After 6 weeks of using Youth to the People I think my skin looks fresher (there’s a theme here I feel), and I just look more awake. Like I’ve been drinking 3 green smoothies a day and, as much a I love a green juice, I don’t do three a day! These products are a nice way to inject some healthy superfoods into you life. Remember, what goes on your skin goes into your body. In all honesty I struggled to find cons for this brand. I would definitely recommend them to someone looking to liven up their skincare routine in a cruelty free way.